The headlines around Sunderland FC this week have been fascinating – not purely from a football perspective as they struggle to maintain their Premiership status, but around the short term signing of Paulo Di Canio as their interim manager. In the light of his appointment, one of the key board members and sponsors of the club, have reviewed their involvement because of Di Canio’s political views. Clearly, this is nothing new in the world of celebrities as ‘brand ambassadors’. We have seen the fallout from scandals involving Tiger Woods, Lance Armstrong and most recently, Oscar Pistorius, all of whom were dropped from their sponsorship deals because of their ‘off field’ behaviour’, ranging from adultery to alleged homicide. But what do brands really get from having these high profile ‘stars’ fronting their brands or media campaigns? We know that celebrities now have a huge influence over modern society from the way we dress, to how we talk and the phones we talk on, but does it actually work from an ROI perspective and how do you get it right? 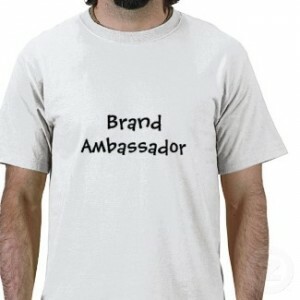 Do Brand Ambassadors deliver value? Interestingly, a study by The University of Liverpool showed that a celebrity endorsement of a food product (in this case, Gary Lineker), encouraged more children to eat more of the endorsed product. And according to Dutch scientists, celebrity endorsement can ‘alter brain activity’, with studies around shoe shopping and purchasing – a subject very close to my own heart. Most brands choose celebrities to endorse their own product for a number of reasons, including greater brand recall within their own sector, credibility, PR coverage and hopes of improved brand image. An appropriate celebrity, well utilised, can transform fortunes and add aspirational values that have a direct impact on the bottom line. But football aside, the Di Canio story shows the impact of negative associations. First of all, the celebrity has to match the product and its core values. There also has to be a clear link between the brand and the celebrity – consumers have never been more clued up and able to voice opinions and concerns. In addition, the celebrity has to ‘live’ the product’ –the risks of Social media mean that anyone paid to endorse a watch/supermarket/hair product needs to be shown to be using it, and not photographed on Twitter using competitive products. Here are 5 examples of mistakes made by brands using celebrities to promote their products. But could the world of celebrity endorsements be changing? As celebrities , especially on the other side of the pond, integrate themselves more than ever, into the business and not just the promotion, what does this mean for endorsements? Rather than simply endorse products, celebrities are now investing into them, meaning they share success of the brand. Great examples of this come from the US and include Sean Combs (previously Puff Daddy), Justin Timberlake and Ashton Kutcher. 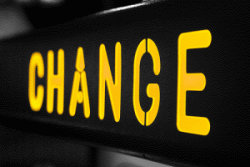 As the world changes, so do our expectations and ability to seek out the truth. Gone are the days of inaccessible ‘stars’ of the field, stage and screen and brands need to understand how to spend their money wisely in this area more than ever before.